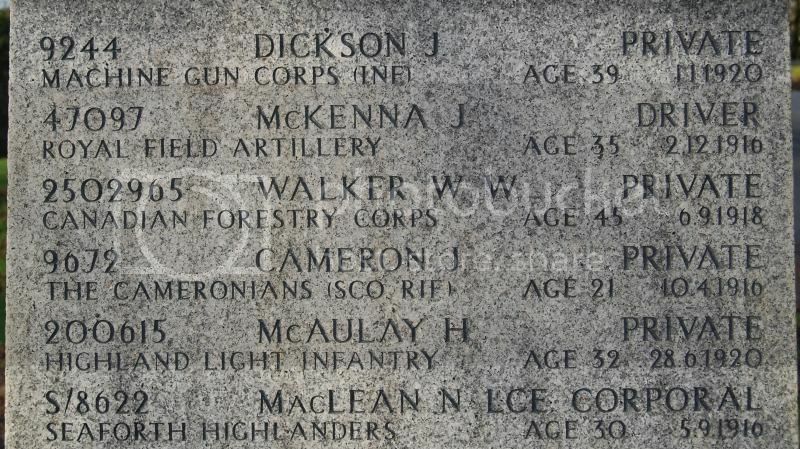 Section A, Grave 715 - Signalman WALTER ALLISON, R.C.S. 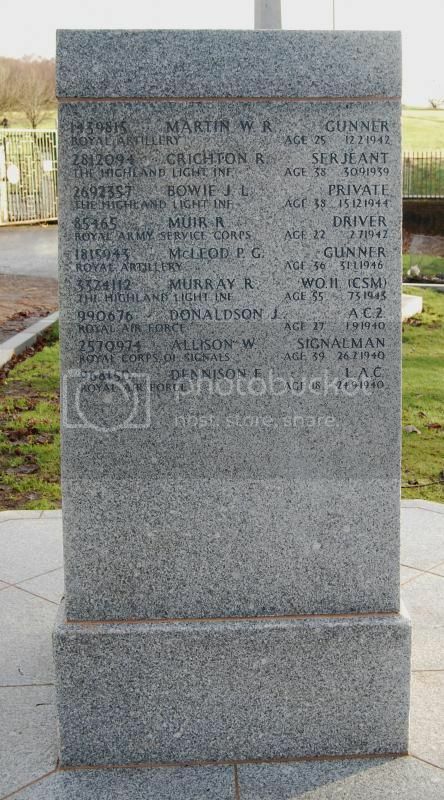 Section A, Grave 9359 - Aircraftman JOHN McLENNAN ARMSTRONG, R.A.F.V.R. Section A, Grave 1734 - Private JOHN LAIRD BOWIE, H.L.I. Section A, Grave 7884 - Gunner WILLIAM RAMSEY MARTIN, R.A. 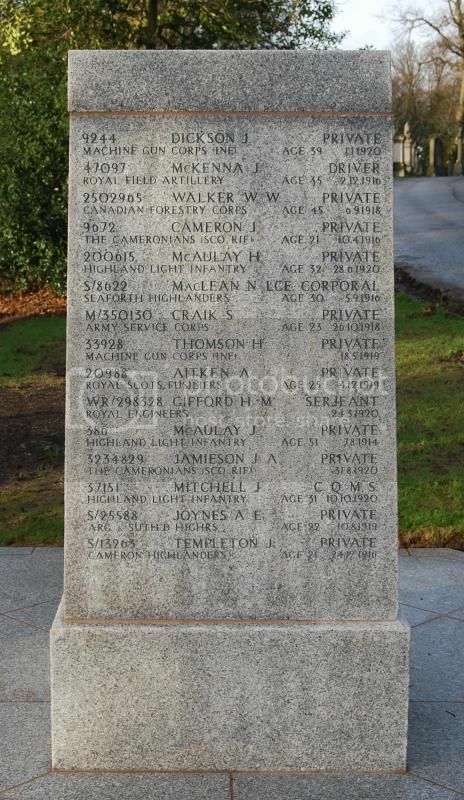 Section A, Grave 2860 - Private ROBERT SHEDDEN McLEOD, A. 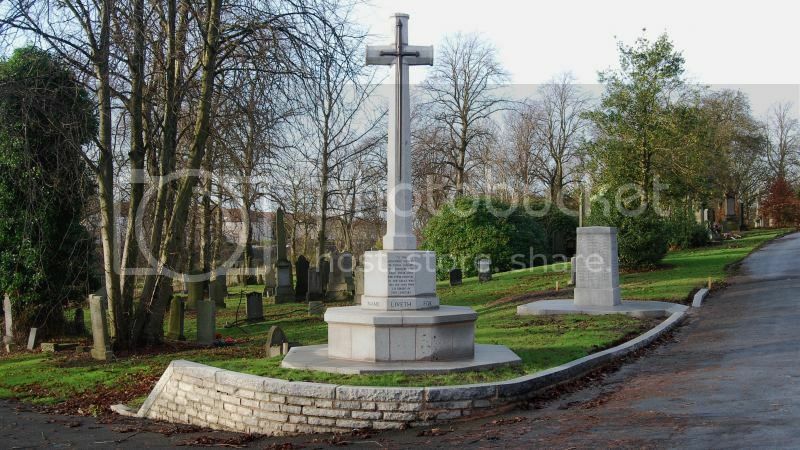 & S. H.
Section A, Grave 2374 - Rifleman THOMAS STEVENSON, S.R. 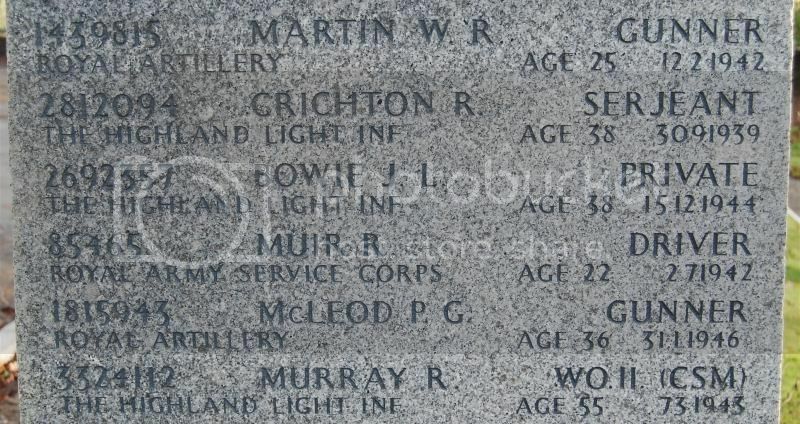 These six were ones I couldn't find from a list I printed off from CWGC. It's obviously been a while since I posted all these photos, but if I subsequently found three out of six, and forgot to delete them from that list, I'd be happy to update/edit it to bring it up to date. I did at one point sneak over the fence and might have got some, but we'll not go into that wee adventure!! 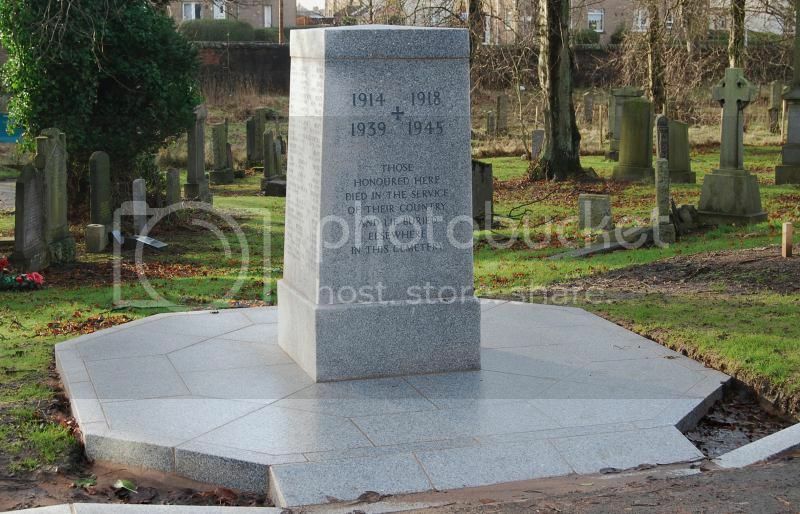 Some new photos from a recent visit to Riddrie Park to see the new memorial. 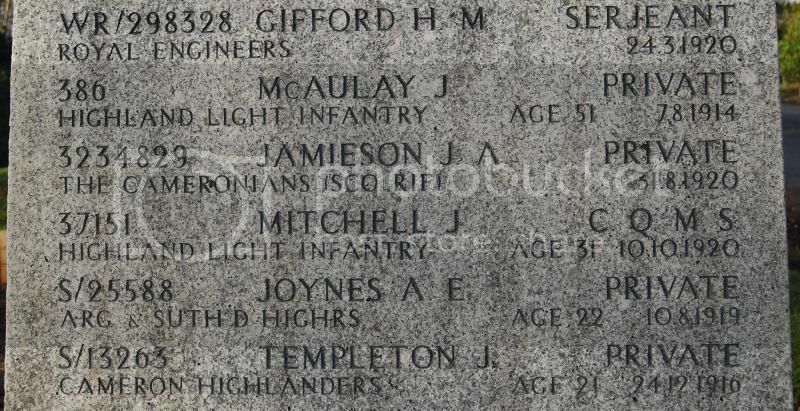 *The two McAulays are listed on the same stone – father and son perhaps? 2570974, ALLISON, W., Signalman, Royal Corps of Signals, age 39, 26.2.1940.